I've been remiss in writing here, or sharing reviews, or doing much of anything. I suspect I'll pick this little blog up again eventually--I always do--but in the meantime, I'm hoping to at least share reviews I've written for other sites for the books I'm really loving lately. Here's the first of what I hope will be many more. Reprinted from Shelf Awareness with permission. 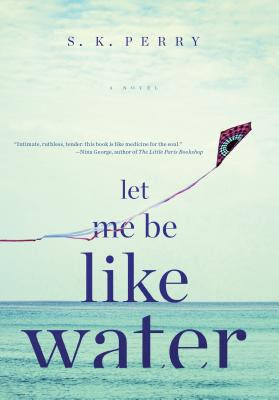 Let Me Be Like Water is a beautiful and heartbreaking story of young love and young loss. A meditation on grief and what could have been, S.K. Perry's debut offers glimpses of the sometimes magical ways the world works when life is shattered and we're left with nothing but the pieces.